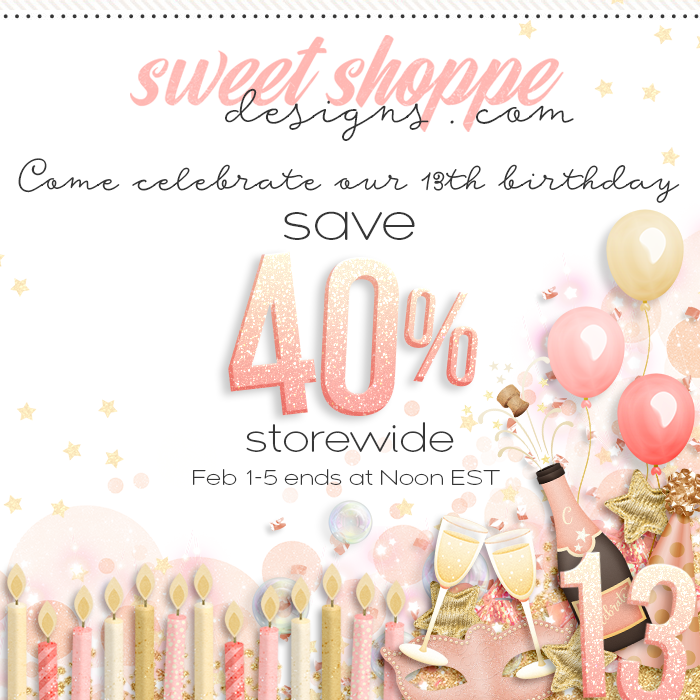 Sweet Shoppe Designs – The Sweetest Digital Scrapbooking Site on the Web » Celebrating 13 Years of Sweetness @ SSD! Celebrating 13 Years of Sweetness @ SSD! Happy Friday Sweet Shoppers! Not only is your favorite day of the week here, but it’s time to party because we’re celebrating our 13th Birthday here at the sweetest spot in town! I can hardly believe that we’ve been doing this for as long as we have, but each and every one of us truly loves what we do! I think it goes without saying that we’re incredibly fortunate to have found a career where we’re surrounded by talented women and beautiful things week in and week out, and the fact that we can wear our pajamas to work every day if we want to is a HUGE bonus! I knew way back in 2006 that we had something incredibly special here at Sweet Shoppe Designs, and I am so proud of all of the women who have made us what we are today. 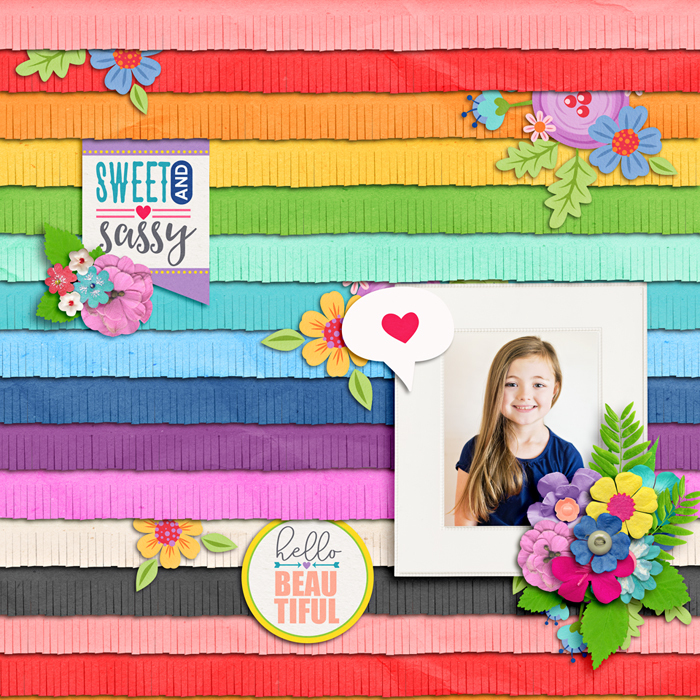 From the brilliant designers who create the products we love, to the SugarBabes who inspire us with their amazing pages, to each and every one of you who support us with your purchases and enthusiasm… THANK YOU for 13 sugary sweet years! There is seriously so much yummy stuff hitting the shoppe tonight, and I know you guys are going to love the scrumptious savings on everything new and old! Like I always say, those tiny images above don’t do this week’s goodies justice, so be sure to take a closer look at each product as you do your celebratory shopping this weekend! 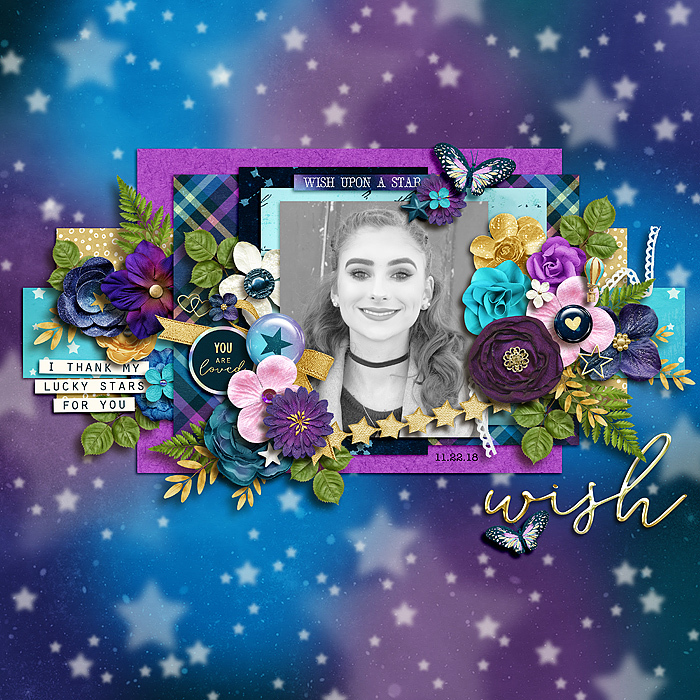 These layouts are just the beginning of the sweetness in store for you in this week’s sweet new stuff, so head to the shoppe now to SAVE BIG during this special event! 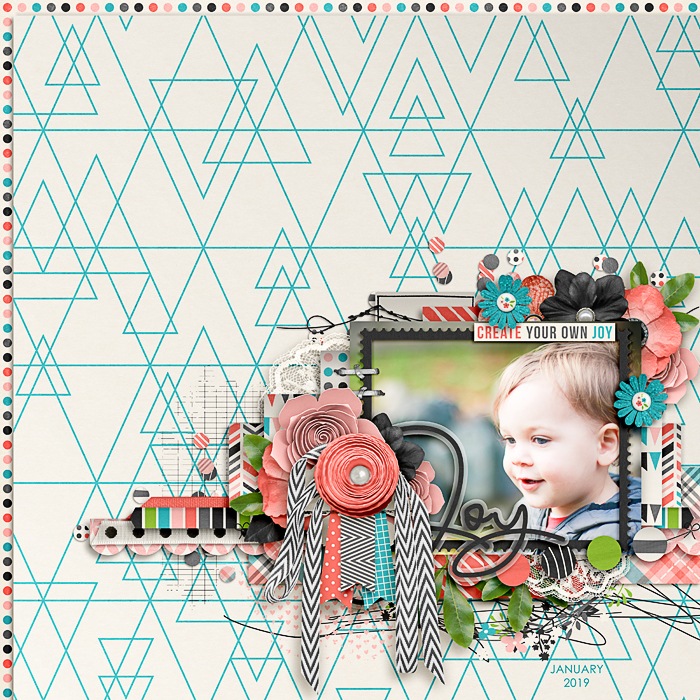 While you’re there, you also aren’t going to want to miss our newest alphabet inspired Featured Designer kit from the sweet and talented Bobbie Smith of River Rose Designs! Party Game-A-Day is back for our 13th Birthday, and we have lots planned for you to enjoy. Join us each day in the forums for playful games, scrap challenges, fun conversations and your chance to win free stuff all month long! 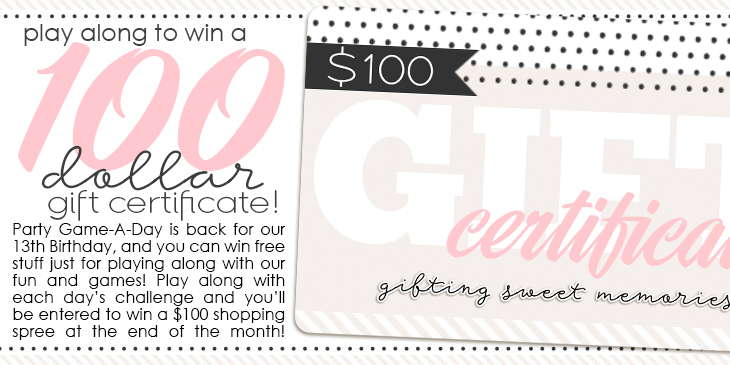 In addition to scrumptious daily prizes, everyone who plays along with ALL 28 days of fun will be entered to win a $100 grand prize at the end of the month! 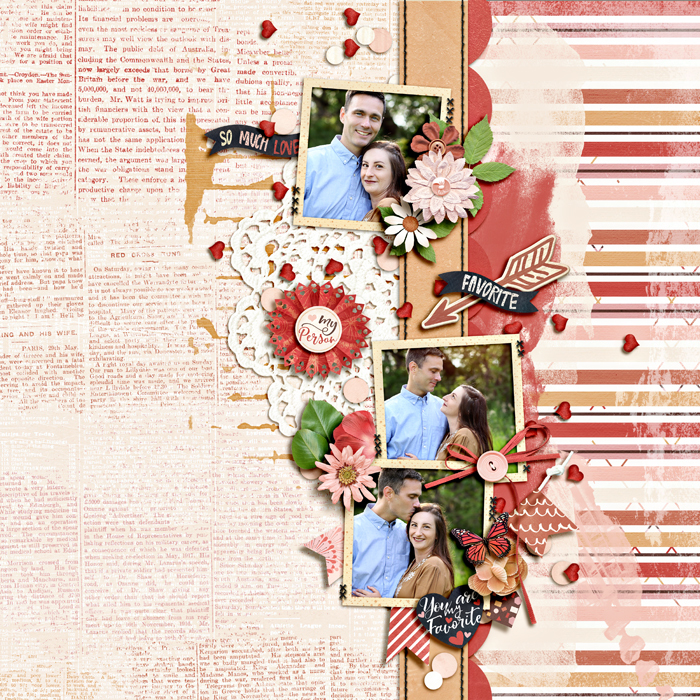 We also have a brand new set of challenges to keep you scrapping all month long in February’s Passport to Love. 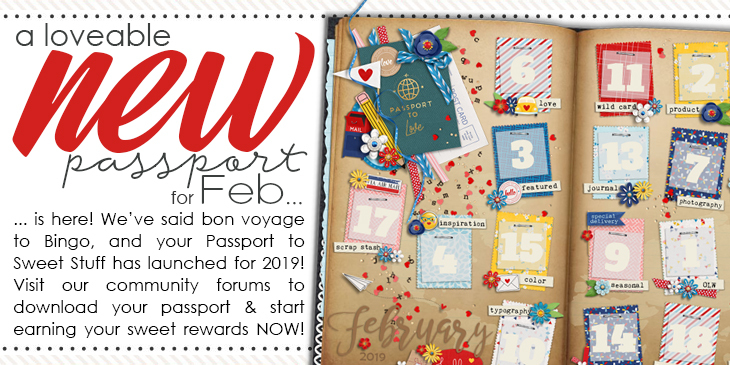 We’ve loved seeing all of your amazing layouts for January’s Passport to Tomorrow, so we hope you’ll stop by this weekend to take this fun monthly journey with our team! 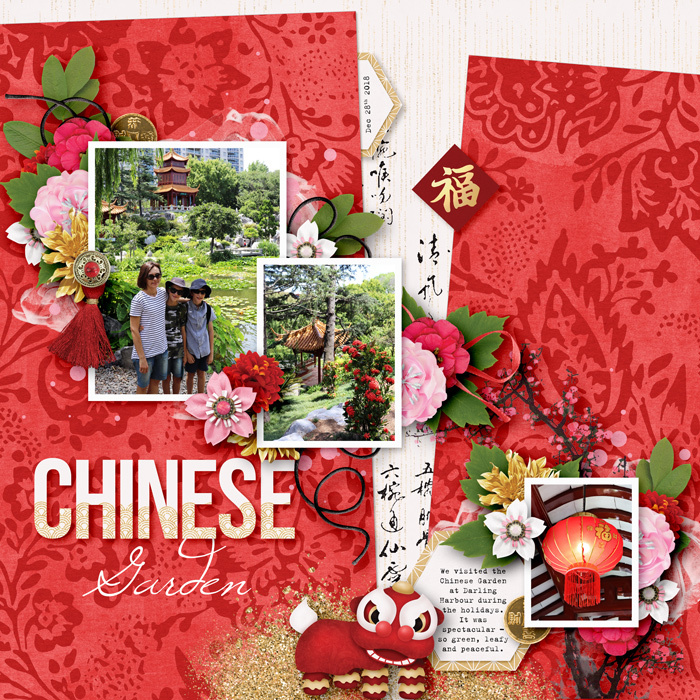 Our monthly challenges are a fantastic way to earn discounts in the shoppe just for doing what you love, so stop by soon to challenge yourself! 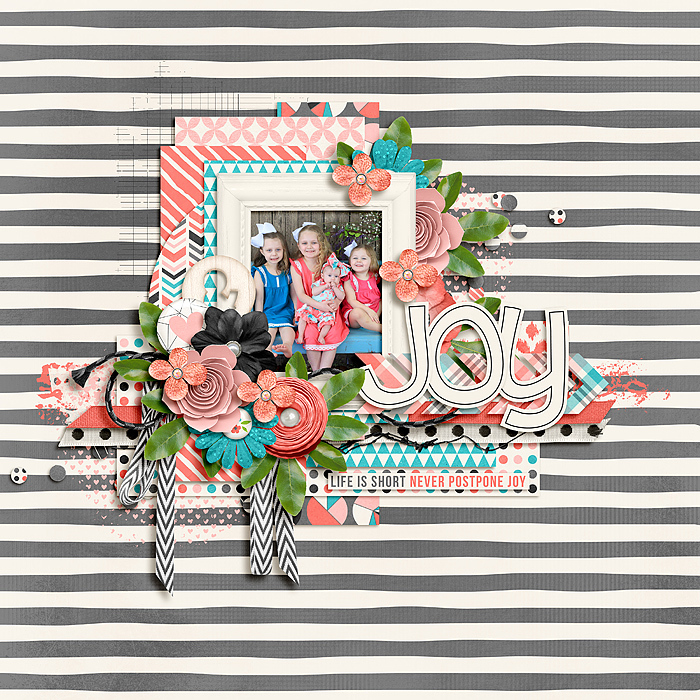 Finally, Meagan of Meagan’s Creations will be hosting a fun Getting to Know You Scrap challenge as part of a Facebook Live event she’ll be hosting on the Sweet Shoppe fan page tomorrow night at 9pm Eastern. 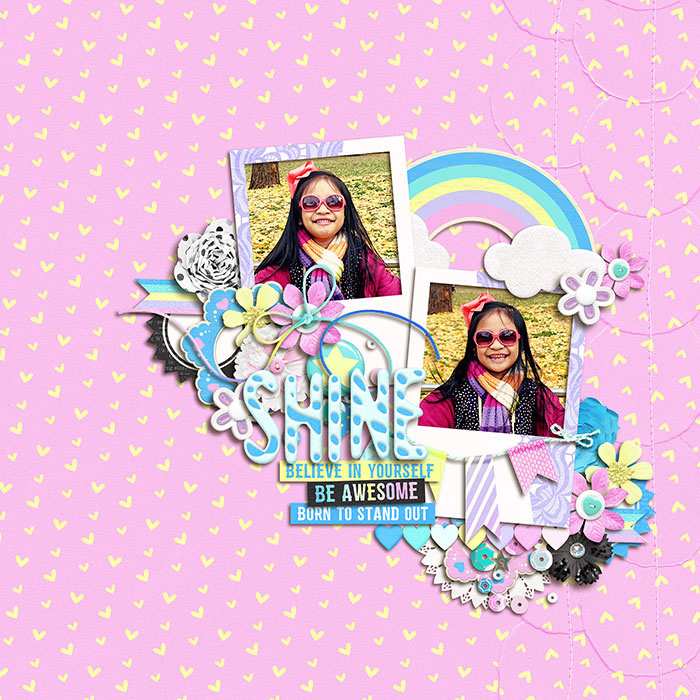 Everyone who joins in on the scrapping fun will be entered to win a sweet prize from her shoppe, so I hope you’ll stop by to say hello to one of the newest and sweetest members of our amazing team! On that note, from the bottom of our hearts, thank you guys for making Sweet Shoppe Designs the sweetest spot on the web over the last 13 years. All of us are looking forward to many more birthdays to come! Until next time sweet friends, keep making memories and scrap MORE!